Barbizon Lighting Company Blog: Fall Production is Upon Us! Fall Production is Upon Us! Can you believe it's September? Where did the summer go? Now that summer stock festivals have wound down and the fall school season is upon us, it's time to start thinking about and stocking up for the fall production schedule. 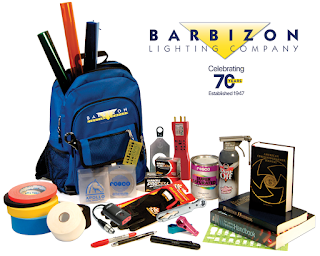 Barbizon has all the items you'll need for a busy fall production season. Whether you work in theatre, television, film, or are getting ready for the upcoming haunted house season - contact Barbizon with your inventory list, or we can help you put together a bill of materials based on your buying history.